In entertainment, many stars rise and quickly fade away. Others just can’t live up to the hype and some just don’t seem equipped for the pressures of fame. For this list, we picked celebrities who were the authors of their own demise; performers, personalities and artists whose purposeful behavior got them into trouble - and for many, it’s what’s keeping them there. Though some have made a comeback and some have sought redemption, these celebs will forever be mired by the scandals that they created. In show business, you either make or break it. Well, these guys made it, and then they broke it...badly! Below is my top 10 celebrity falls from grace. Famous for her Southern cooking and love of butter, Paula Deen also held onto a few less savory Southern customs. Sued for racial and sexual discrimination, court transcripts revealed Deen’s use of racial slurs and her desire to host a “Southern plantation style” wedding with exclusively black servers. Her case was settled, but the scandal got Deen fired from the Food Network and cost her several lucrative endorsement deals. And in 2012, when she announced she’d been diagnosed with diabetes three years earlier, critics came down on her even harder for her high-fat, high-cal cooking. Forget fried chicken, looks like a serving of crow with a side of humble pie for this chef. Actor, director and all-round bigot, Mel Gibson has gone from Hollywood power-player to movie-biz pariah. And given his track record, it’s easy to see why. In 1991, Gibson made several homophobic comments to a Spanish newspaper. In 2006, Gibson was arrested for a DUI and went on an anti-Semitic tirade against the arresting officer. In 2010, recordings of Gibson’s violent and racist threats against his girlfriend were released. He’s blamed alcohol and emotional distress for his actions, but nobody’s buying it...except maybe, Jodie Foster! Uh, what?! People love Cosmo Kramer, but Michael Richards? Not so much. In 2006, Richards spewed out a racially charged rant against African-American audience members that had been heckling him during a stand-up set. Using several racial slurs with shocking references to lynching, the actor and comedian’s outburst was caught on camera for the world to see. Though he publicly acknowledged his terrible behavior, apologizing profusely, many felt that it was too little too late. The next year, Richards declared he’d never do stand-up again. He’s a celebrated R&B artist. He likes to make really long songs. He also seems to like really young women...too young, in fact! In 1994, Kelly illegally married fifteen-year-old singer Aaliyah. In 2002, a video surfaced, allegedly showing Kelly hooking up with and peeing on another underage girl. A jury found Kelly not guilty of any crime – but the public remains skeptical of his innocence. Still making lengthy ballads, Kelly later married an appropriately aged woman. Though they’ve since divorced, let’s hope he’s learned his lesson. His riveting memoir of drug addiction seemed almost unbelievable, probably because it wasn’t completely true! James Frey’s “A Million Little Pieces” sold millions of copies as an Oprah’s Book Club pick, but it was later revealed that parts in Frey’s story were fabricated. While the author tried to appease critics, he was no match for the wrath of daytime’s queen. The scandal cost Frey several lucrative deals, and though his career seems back on track, we’ll always remember him as the guy who lied to Oprah. 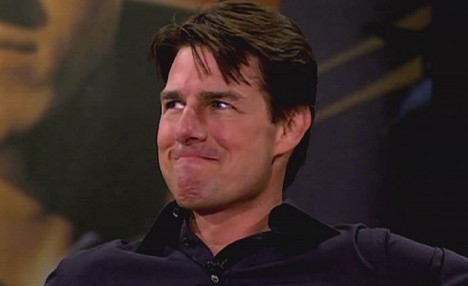 Heartthrob, action-hero...couch jumper, Tom Cruise was the biggest movie star in the world. Then, in the mid 2000s, his celebrity veneer started to crack –his controversial take on psychiatry, his rather strange courtship with Katie Holmes, and then there were those Scientology videos; all of these things contributed to Cruise’s diminished popularity and professional set-backs, including his break with Paramount Pictures. Though he continues to make movies, it seems that Tom Cruise, the person, might be getting in the way of Tom Cruise the star. Baby-faced and with the voice of an angel, he was a YouTube sensation, turned world-famous pop-idol, turned international super-brat! Justin Bieber’s on-going antics are overshadowing his talent (and we’re using that term loosely here). Vandalism, DUI, minor assault and drug possession have gotten him in trouble with the law, while on-again-off-again relationships, celebrity feuds and nonsense like this have relegated him to tabloid fodder. So will the Biebs smarten up and change his ways? We’d have to see it to Belieb it! Artist, musician, and children’s entertainer; Rolf Harris was adored by millions. But behind the warm, friendly face was a much more sinister character. In the wake of several high-profile sexual assault cases, Harris’ abuses came to light. In 2014, the eighty-four year old was found guilty on a dozen counts of indecent assault against young girls between the ages of eight and nineteen. Publicly shamed, stripped of most honors and sentenced to over five years of prison time, Rolf Harris’ fall from grace is more like justice served. So, you’re an audience favorite on a hit TV show. How do you get fired? Ask Isaiah Washington. As Dr. Burke on “Grey’s Anatomy,” Washington played a sophisticated surgeon, but behind the scenes his behavior proved pretty backward. During an altercation with a fellow cast member, Washington uttered homophobic slurs. When the incident went public, the actor showed little remorse and made even more off-color comments to the press. After being virtually blacklisted in Hollywood, Washington is slowly returning to the spotlight. Let’s hope so Isaiah, let’s hope so. She charmed audiences in “The Parent Trap” and turned “Mean Girls” into a cult classic, but Lindsay Lohan has become the worst kind of child-star cliché. With stints in rehab, jail, and then more rehab, Lilo has gone from Hollywood wonder-kid, to party-girl, to train-wreck. Notoriously unprofessional, she’s been dropped from multiple movies in recent years. Now that’s she’s booked for stage work in London’s West End, does this signify the beginning of a comeback for Lindsay Lohan? Or should we just place bets on how long she’ll keep it together?